Kootenay Silver Inc. [KTN-TSXV; KOOYF-OTC] said Thursday June 28 that its wholly-owned subsidiary has entered into an option agreement with Capstone Mining Corp. [CS-TSX] on Kootenay’s La Mina Project in Mexico. La Mina is located 180 km southeast of the city of Hermosillo in Sonora State. The project was staked by Kootenay as part of its generative property portfolio strategy and covers the upper levels of a zoned copper porphyry mineral system exposed over a 2 x 2-km area. La Mina contains a large leached argillized pyritic zone exposed at surface where surface grab and chip samples averaged 300 ppm copper. This is consistent with leached zones above enriched copper deposits to the north, such as La Caridad, where the leached zone was in the 200 ppm range and overlaid an enriched deposit of 0.7% copper. 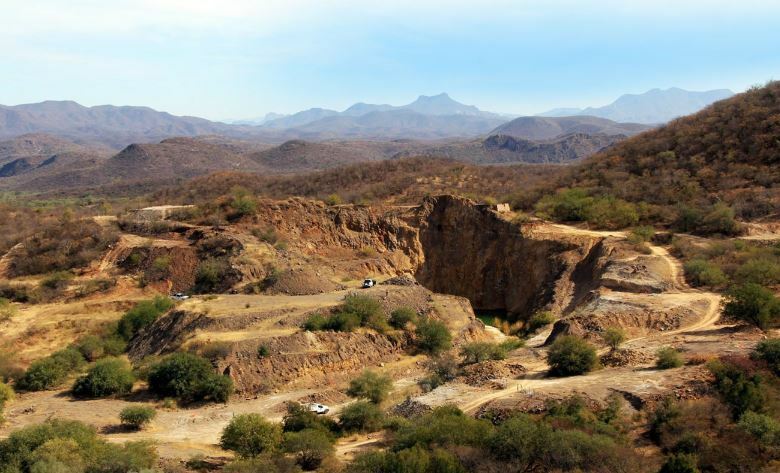 The agreement allows Capstone Mining to earn an initial 60% interest in La Mina by making staged cash payments totalling US$600,000 and spending US$4 million over four years. Following the initial earn-in, Capstone may earn up to a 100% interest in La Mina by completing certain milestones, including preparation of a preliminary economic assessment, a pre-feasibility study and paying an additional US$8.4 million to Kootenay in stages at each of the various milestones. Under an agreement, a third party holds a 2.5% net smelter return royalty on the concession. However, Kootenay has renegotiated the right to purchase on or before the start of commercial production, up to 2% of the underlying royalty for a total of US$1.6 million. If Capstone Mining earns a 100% interest, Kootenay will retain a 1% net smelter return royalty with no buy-out option, of which 0.5% will be held by the third party after giving effect to the buy-down. Kootenay Silver is a Canadian and Mexico-based silver company. It is focused on developing two major silver projects in Mexico, including the La Cigarra Silver Project in Chihuahua and the Promontorio and La Negra silver discovery in Sonora. The La Negra discovery was made in the fall of 2014 and is one of several new prospects recently identified within a 25 x 15-km mineralized corridor referred to as the Promontorio mineral belt. La Negra has been compared to Pan American Silver Corp.’s [PAAS-TSX, NASDAQ] Alamo Dorado Mine, located 190 km to the south. Like Alamo Dorado, La Negra is thought to be amenable to a low strip, open pit mining situation. Kootenay Silver shares rose 3.3% or $0.005 to 15.5 cents on Monday. The 52-week range is 15 cents and 31 cents. “We are pleased to have completed the agreement with Capstone Mining and are looking forward to have them drill test this exciting copper porphyry system,” said Kootenay President and CEO James McDonald.